G. M. Collins has been inspired by many authors: J. R. Tolkien, Robert Jordan, Anne McCaffrey, and J.K. Rowling. She hopes to entertain and give people an escape from their lives for a while through her writings. 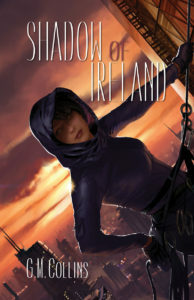 Shadow of Ireland, her first published book, is dedicated to a friend that lost her battle with breast cancer. Through her, I met my publisher and she encouraged me when I thought no one would ever read my stories. I miss her and hope Shadow of Ireland will be an honor to her memory.